Discover a premier resort on Hilton Head Island that offers an escape from the daily hassles of life. Unwind, relax, and let the warm rays and summer breezes rekindle your spirits. Our myriad of activities, great local dining options and friendly staff provide endless opportunities for all who vacation at The Coral Sands Resort. 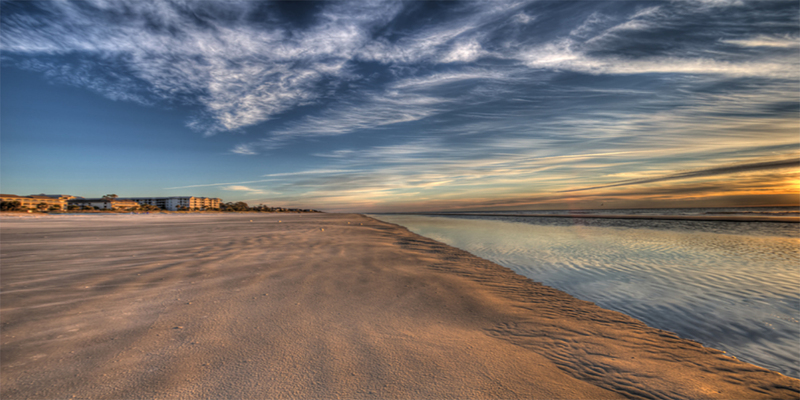 Hilton Head Island, or simply Hilton Head, for short, is a resort town located in Beaufort County, South Carolina. Hilton Head may be small, but its options for family fun are endless. One of the best things about a summer vacation on Hilton Head is that you can do as much or as little as you want to during your visit to the Island. For those seeking adventure, take a dolphin cruise, explore our wildlife refuge and hiking trails, go parasailing, or visit nearby Daufuskie Island. Sports lovers will enjoy our championship golf courses, award winning racquet clubs and a friendly game of beach volleyball behind the "Tiki Hut" on South Forest Beach. When you're ready to relax, you can spend the day lounging at an oceanfront pool or splashing in the calm waters of our pristine sandy beaches! The opportunities and fun never ends! Below are some of the added amenities our guests enjoy. Coral Sands is part of the exclusive Palmera Vacation Club vacation group. Our owners experience world class amentities and services all year round. For more information click on the link below.